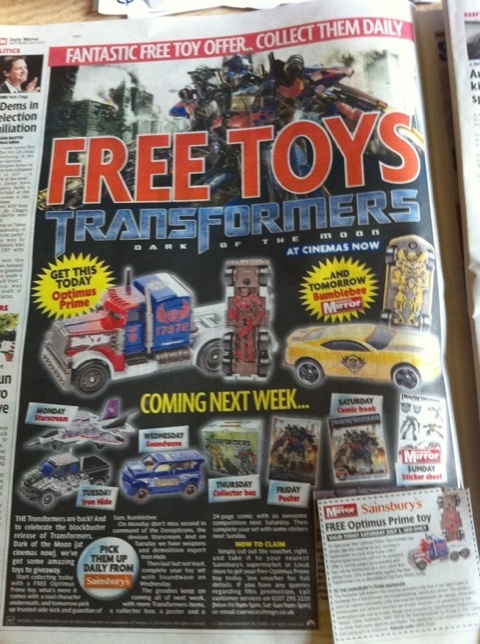 Every day this week in the Daily Mirror newspaper you’ll find a voucher for a free Transformers toy. 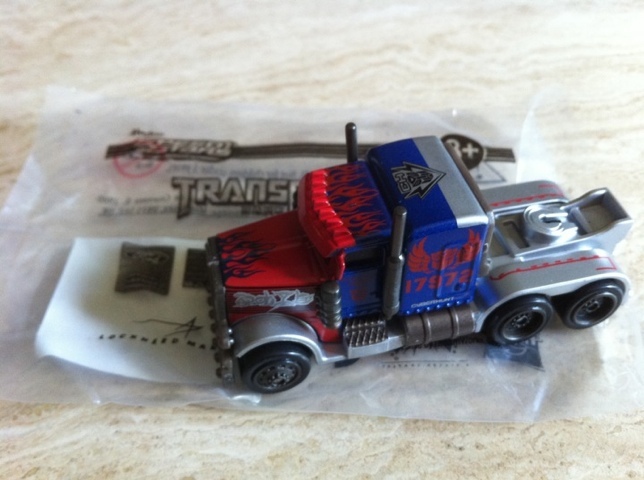 Today’s toy is Optimus Prime, tomorrow’s is Bumblebee and details of the rest can be seen in the photo below. Collect then before they run out, as each toy has to be picked up from Sainsbury’s on the day of the voucher. I am trying to get hold of the bumble bee from Sunday. Unfortunately I didn’t get the paper and am willing to pay for the actual car. I always participate in the Daily Mirror offers and wondered if there was any way I could get hold of one of these cars. Hi Carole – if you mention that in our forum I’m sure someone will be able to help. Some of our members have more than a few versions of each toy thus far.